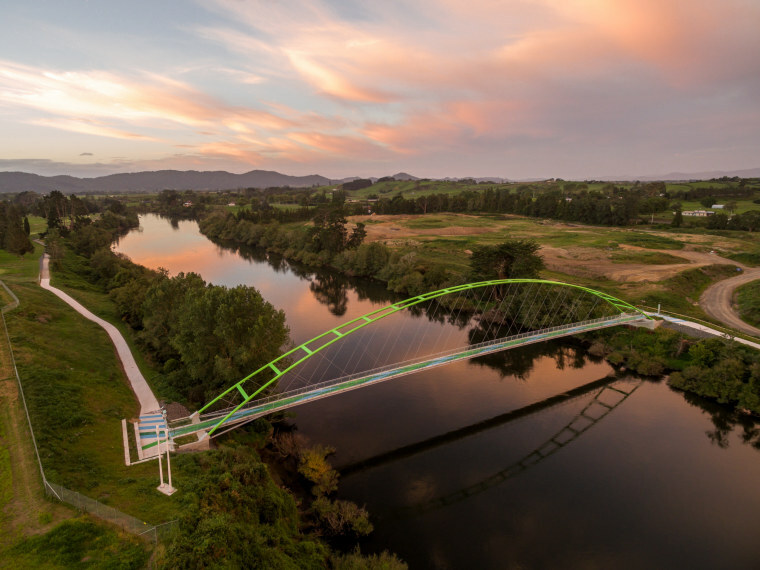 The engineering design of Te Awa’s acclaimed Perry Bridge has won an award from the New Zealand Bridge Industry, just over a week before it is judged in the prestigious international Structural Awards. Designed by leading New Zealand structural and civil engineering business, Holmes Consulting, and built by Emmetts Civil Construction, New Zealand’s first network arch bridge created specifically for pedestrians and cyclists was commended by industry experts at the New Zealand Bridge Industry Awards and won the Small-Medium Structure category. Blair Davidson, Principal, Civil Structures for Holmes, said: “We’re thrilled to be recognised for pushing the boundaries with our design. As the judges said, it appears simple but was, in fact, a complex design that required a lot of technical expertise to overcome a number of challenges. 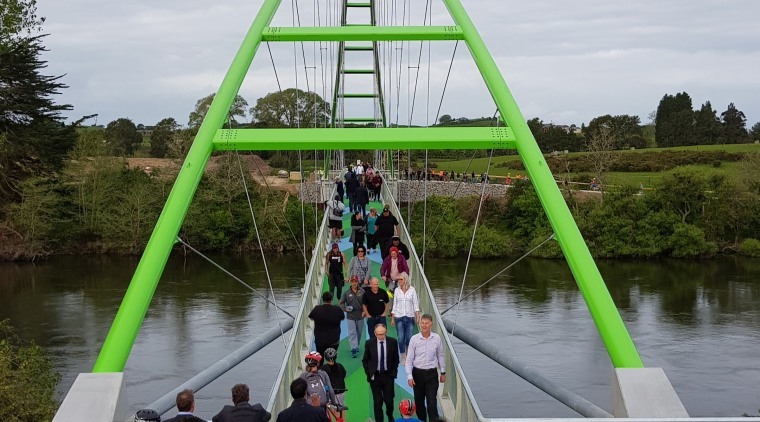 The judging panel, comprising industry experts, remarked that the innovative structural design and construction of the bridge, which is positioned over the Waikato River as part of The Great River Ride, pushed established industry boundaries. They also applauded the urban design and use of materials, which were recognised as cost-effective while meeting practical and environmental considerations. Completed in November last year, Perry Bridge is the longest of only four network arch bridges in New Zealand and has become hugely popular with locals and tourists travelling through the area. It features mosaic artworks at each end of the bridge, designed by local schools which are based on either side. The bridge is shortlisted in the Pedestrian Bridges, Construction Innovation, and Outstanding Value categories at the Institution of Structural Engineering Structural Awards, which will be held in London on November 16 and set a benchmark for the best work in the industry. Past winners at the international Structural Awards include the Sydney Opera House, the Pompidou Centre in Paris, and the Severn Bridge which runs between South East England and South West Wales.